Make this Diwali a Memorable One for your Children. Here’s How! The festival of lights is here and it is time for celebrations with our loved ones. Sweets, decorations, gifts, diyas*, and fireworks fill this joyful festive season. However, loud noise from the fireworks is bothersome for the elderly and ailing, pets and individuals with hypersensitivity. This impact is especially pronounced in children on the autism spectrum. Sudden exposure to loud sounds can lead to a startle reflex that triggers seizures in children with multiple disabilities. For children with social anxieties, the constant stream of visitors may be another source of stress. That said, it is possible for your child to enjoy Diwali, just as much as the next person. All it takes is a tiny bit of planning. Here are some ideas for you to try out and create some sparkling Diwali memories this year! Whatever be your plans for Diwali, talk to your child ahead of time about what to expect. Let them know that there will be loud, unfamiliar noises, lots of people, bright lights, a change in routine and so on. If your child responds to visual aids, you can use photos to create a story that illustrates the activities you will be doing that day. Share with your child why you are excited to celebrate Diwali. Talk about what you enjoyed doing as a child. Noise is inevitable on Diwali these days. In the run-up to the big day, consider watching videos of fireworks while gradually turning up the volume over time. Prepare a comfort pack containing toys, books and other objects of comfort close at hand so that your child can try and focus their attention away from the noise. Consider purchasing good quality ear plugs and headphones for your child. Noise-canceling headphones are the most effective because they replace irritating environmental noise by producing calming white noise. Identify safe spaces that soothe or calm your child. For instance, it could be your room or theirs. Plan indoor activities beforehand to engage their attention away from the noise. Make use of headphones and earplugs. Pull out the comfort pack you readied earlier to offer some relief. Take your child to the safe spaces you identified earlier, to calm them down. For some children, new clothes during festivals could be anxiety-inducing. You can take some steps beforehand to help them manage this. Take your child for shopping to pick their own clothes, if that is a possibility. If that’s not possible, show them the new clothes picked out for them. Let them feel the cloth, the textures in it, enjoy the colors, and get familiar with it before the festival. You could help your child wear new clothes over the clothes they already like, to increase their comfort level. 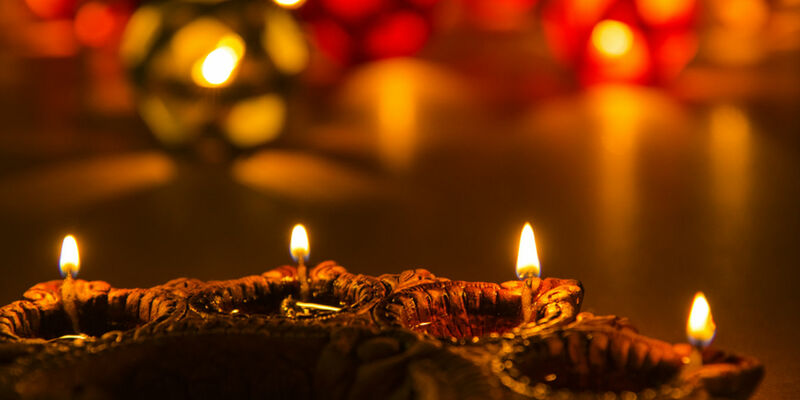 Social anxiety may get compounded when there is a constant stream of Diwali guests. You may also have to go visit others’ homes. There are ways you can take the edge off this anxiety caused by this. Request your friends and family to visit over a couple of days, as opposed to everyone coming on the same day. Similarly, you could plan your visits to others’ homes over a couple of days. Involve visiting family and friends in activities that your child enjoys so that your child too can have fun in their company. Use your discretion before taking your child close to fireworks or to see them. If they wish to watch fireworks in the sky, get them to wear noise-cancelling headphones before heading out. Do maintain a safe distance from fireworks. The bright sparks may be triggering for some children even with noise cancelled out. If your child is not keen on fireworks, you can always switch to some quiet and comfortable indoor activities which you pre-planned. If you found these ideas useful, do take a minute to share this blog post with others who might benefit too! On this auspicious festival of lights, may the glow of joy, prosperity, and happiness illuminate your life and your home.